In response to the Committee of civilization City, series of caring activities “City is beauty because of you, care for sanitation workers”, our company actively carry on activity of “to donate one yuan, offering a caring feeling" on May 19th, the love donation activities to send the most sincere sanitation workers condolences. 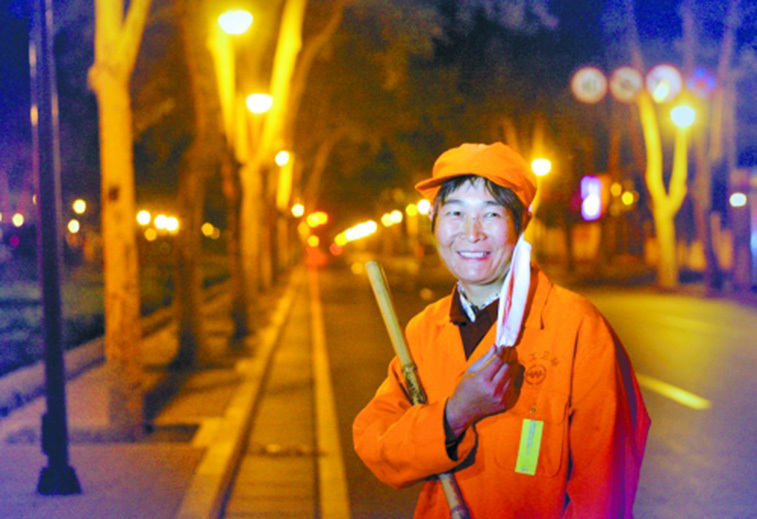 Sanitation workers are beauticians of the city, they quietly contribute their efforts for the development of Shenzhen, their hands, for the beautiful city working in the environment full of dust, dinning on the street day and night, and they are the most beautiful people, but also the most vulnerable labor groups. They cannot scold directly when uncivilized behavior happened; cannot stop readily for the activity of throwing garbage. In everyday life, we should respect the fruits of their work, compassionate sanitation workers, promote "junk off the ground, Shenzhen is more beautiful", to contribute little power and transfer positive energy. The donations will be cared out by Shenzhen care action Philanthropic Foundation work due to injuries and died serving sanitation workers or their families pension, sympathy, also financed suffering from major illness, accidents was caused, and improve sanitation working and living conditions, to let them feel the love of the city’s deepest gratitude to them. With the development of our company, we always participate to positive social returns, and take a big corporate social responsibility for the development of urban civilization and continue to help to realize the harmonious society.